After planing poplar for the current run of dulcimers I tracked some shavings throughout the house. As many who hand-plane know, wood shavings can be captivating. 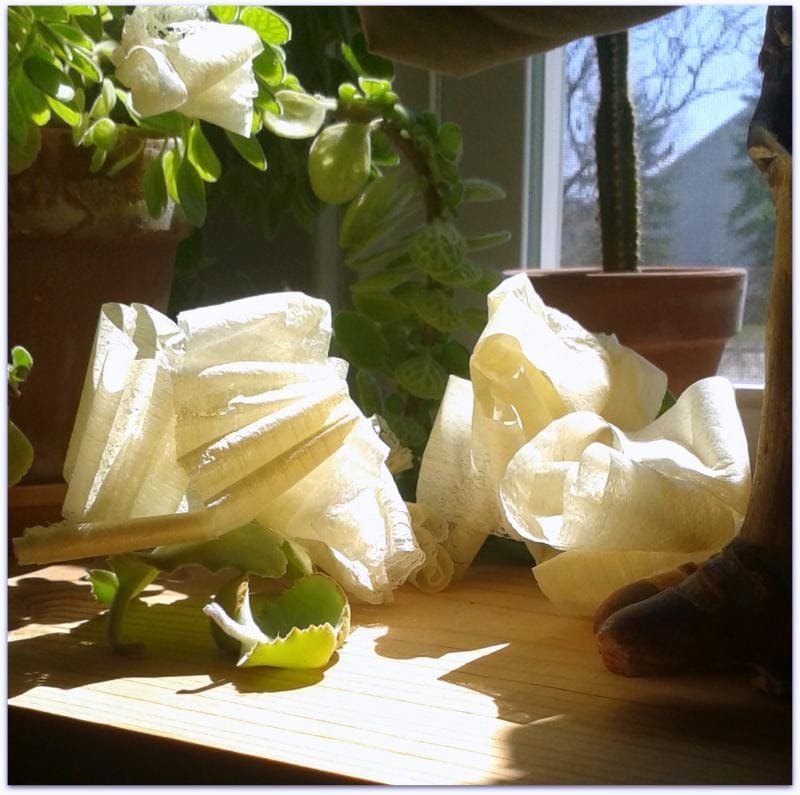 So here are a few poplar shavings, about 2 inches wide and 32 inches long, sitting by the window and getting some sun with their beauty inadequately captured by the camera on my phone. Nature is the best artist! Beautiful, and I bet there is a nice smell as well. When people tell me my dulcimers are beautiful I tell them the trees do the hard part! I love that joke. I use that punchline at work all the time, but no one gets it. Liberation comes when you fully understand and experience that there is no one who needs liberation.